Never feel concerned that your guests will get lost finding the Hilton, Deansgate. Beetham Tower, which houses this luxury five-star hotel, is a striking landmark on the Manchester skyline. Standing at a magnificent 168.87m high, it is the city’s tallest building and the tallest building in the UK outside of the capital. The building is a mix of hotel and apartments, the hotel owning the first 22 of 47 floors, as well as the penthouse bar, Cloud 23, which offers unparalleled, panoramic views across the city. 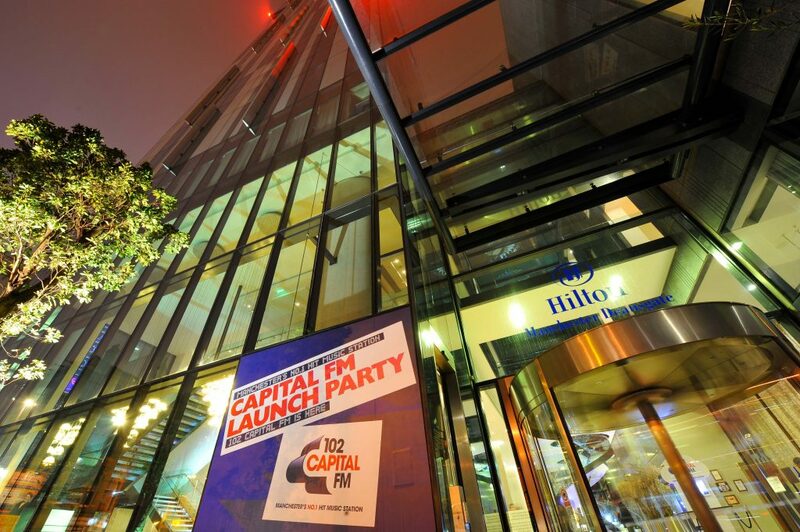 For corporate event organisers in Manchester the hotel offers a range of versatile spaces. When fully open the Deansgate suite caters for up to 600 guests, but can be split into three for smaller functions or different spaces for a conference. All meeting rooms offer natural daylight; the Boardroom being particularly airy, with its floor-to-ceiling windows making the most of the Hilton’s unique setting. It’s often the case that venues are flavour of the month one minute and out of favour the next. Not so with the Lowry Hotel. 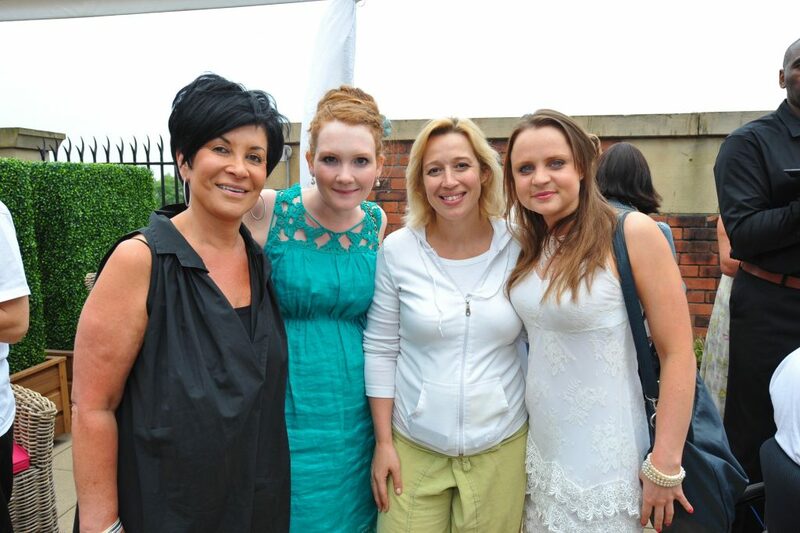 This was Manchester’s first 5-star venue and since its opening in 2001 it has been a solid favourite with celebrities and corporate clients alike. Its name has become synonymous with luxury and is part of the prestigious Leading Hotels of The World. As you’d expect from a luxury venue, it is used to dealing with bespoke events from a boardroom meeting for 10 to a 600-guest reception. 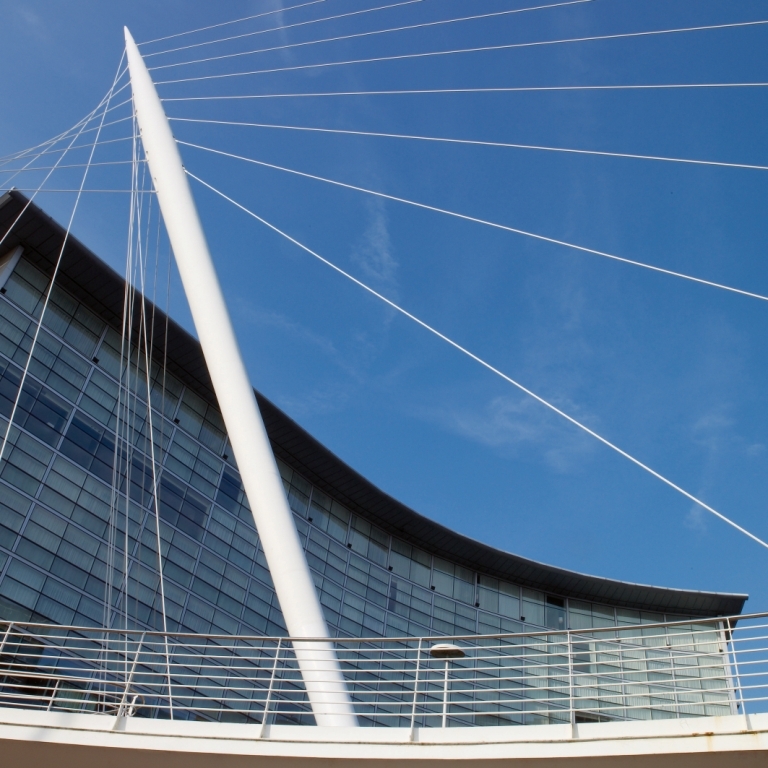 The hotel, situated on the bank of the River Irwell, has a self-contained floor dedicated to meetings, conferences and events, with a separate entrance at street level. For large conferences they will even offer exclusive use of the entire hotel. Although handily located for public transport, it has the added benefit of an onsite car park for up to 103 vehicles. A contemporary choice, that is both welcoming and vibrant, incorporating the essence of this exciting city. 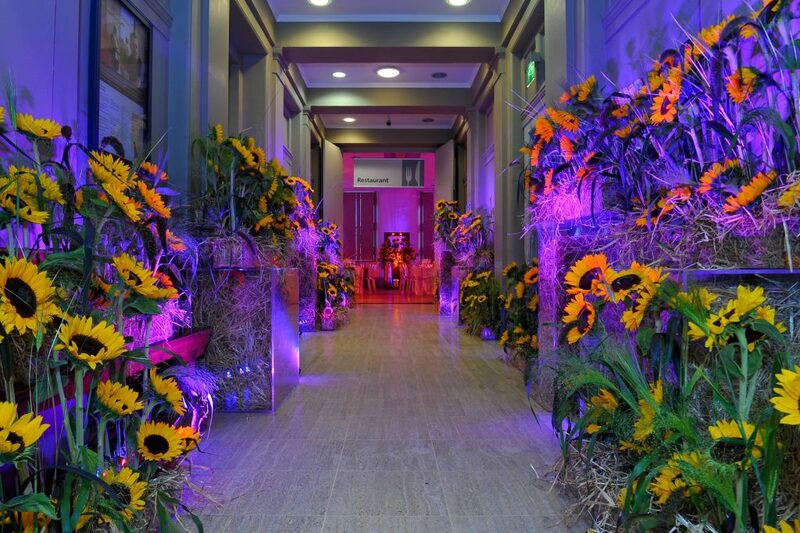 Corporate event organisers in Manchester, looking to add some culture to their event need look no further than the city’s art gallery. The striking Victorian stonework is both contrasted and complemented by a spacious, contemporary glass atrium, added as part of an expansion under architect Sir Michael Hopkins’ scheme, to link the new wing with the former City Art Gallery and Athenaeum. The gallery’s space can cater for events of up to 120 for a seated dinner and 500 for a drinks reception. In addition to purpose built meeting rooms, both the gallery spaces and the atrium are available for event hire, as well as the grand entrance hall and the gallery’s restaurant. For those with an interest in art this venue is a must see, with collections spanning six centuries and an outstanding collection of Pre-Raphaelite works. Situated in the heart of the city, facing both St Peter’s Square and Albert Square, Manchester Town Hall is a venue like no other. This seat of Manchester’s political power has been used to recreate scenes from British Parliament in such films as The Iron Lady with Meryl Streep. And its famous neo-gothic architecture can be seen in Sherlock Holmes with Robert Downey Jnr and Victor Frankenstein starring James McAvoy and Daniel Radcliffe. The Grade I listed building was designed by architect Alfred Waterhouse and contains many grand ceremonial rooms, such as the Great Hall. This magnificent space is decorated with murals by Ford Madox Brown that illustrate the history of the city, and is the perfect choice for corporate event organisers who are looking to add an air of authority and grandeur to an event. This space is ideal for large receptions, banquets and evening events, holding up to 500 guests. Other rooms within the hall are available to host smaller meetings. Corporate event organisers in Manchester looking for a large versatile space with a nostalgic pull need look no further than Old Granada Studios, on Quay Street. This huge space, in the city centre, was where programmes such as Coronation Street, Cracker and The Royle Family were born. It is also the site where Sir Laurence Olivier filmed, King Lear; Jeremy Irons took on his famous role as Charles Ryder in the serial of Evelyn Waugh’s Brideshead Revisited; and where the Beatles gave their first ever television performance in the 1962. With so much entertainment history, no guests will be short of something to talk about. The working TV studios have now closed and ITV Granada and ITV Studios have moved to MediaCityUK in Salford Quays and Trafford Quays. However, that is good news for corporate event organisers, who have access to both private indoor and outdoor spaces for a range of events holding up to 3000 people. If you are looking for an outdoor stage, a large indoor concert, or a space for corporate filming, then this venue is a top choice. 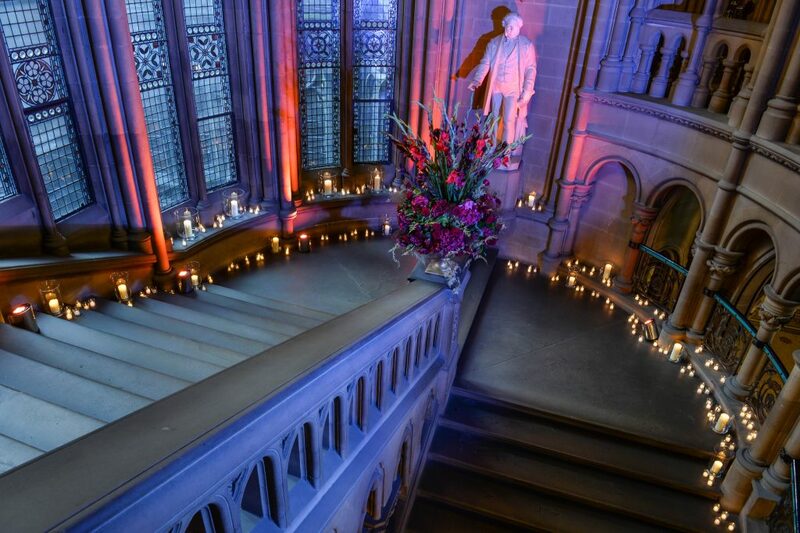 We at TLC love our selection of Greater Manchester’s top 5 corporate venues – all tried and tested to deliver incredible events….with the support of a little TLC! In case there was anyone who doubted just how much chocolate means to us, the nation’s favourite sweet treat has now got its very own day. 9-15 October is Chocolate Week, and this year marks 467 years since our naughty but nice friend was first introduced to European shores. So the team at TLC has come-up with our top-choc-chic ideas to inspire you to Celebrate Chocolate 5 Scrumdidilyumptious Ways! What did our ancestors do to celebrate without it? Thankfully, that’s not something we’ll ever need to worry about, as there are plenty of scrumdidilyumptious ways to say it with chocolates. 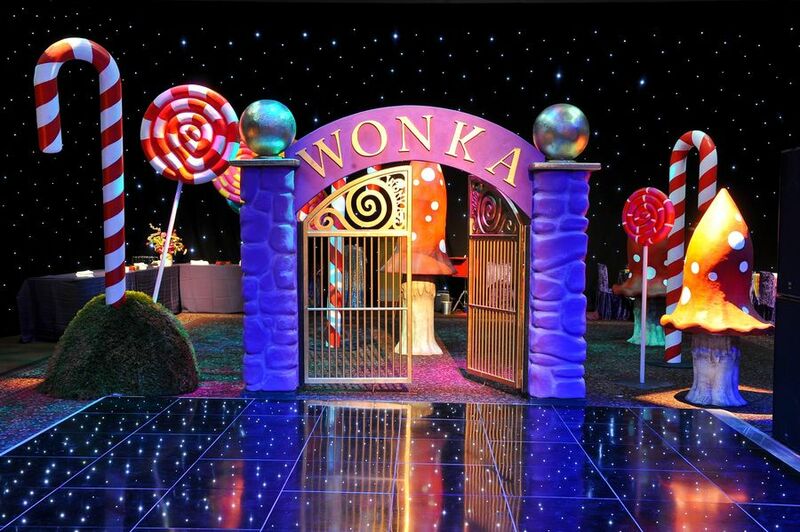 Be honest – who didn’t read Roald Dahl’s Charlie and the Chocolate Factory as a kid and secretly wish they’d find a Wonka’s Golden Ticket hidden inside their next chocolate bar? Whatever our age, there is a child in all of us who would still beam at reaching under the wrapper and pulling out a shimmering invitation that reminds us the chocolate indulgence we are about to enjoy is only a taster of better things to come. 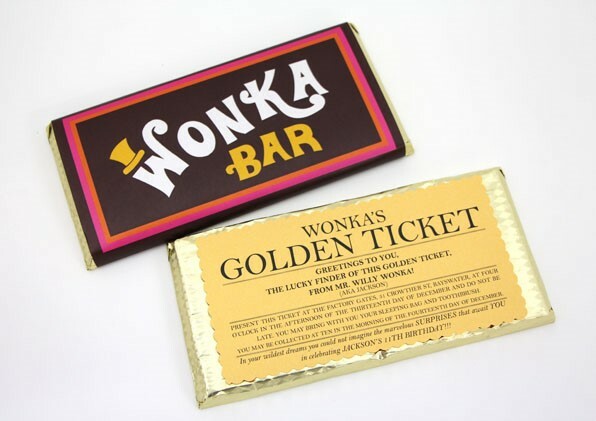 There are plenty of companies who will create your very own Wonka Bars with as many Golden Tickets as you care to give away. Or if you would like to have a go at making your own, Jodie Peterkin of Peterkin Premium Paper Merchants has a DIY guide to help. If you are someone who could eat, sleep and dream chocolate then the Chocolate Boutique Hotel in Bournemouth’s fashionable Soho quarter is chocolate heaven. These people are serious about chocolate, and the team has nationwide team building events to bring out the passion for creating chocolate in everyone. 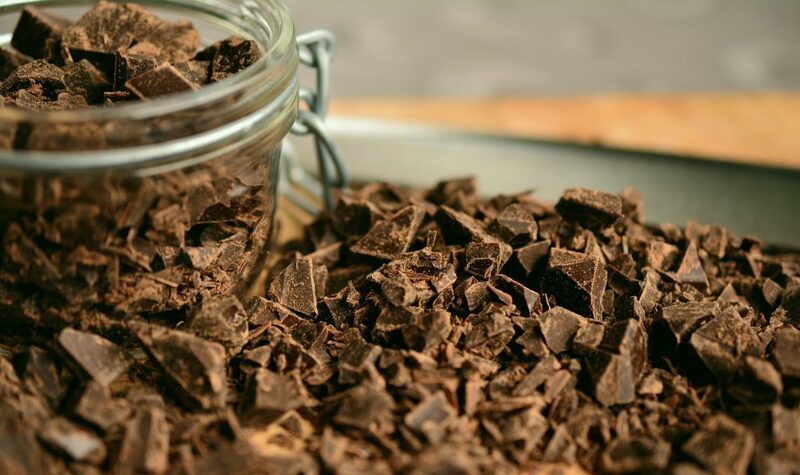 In this 2.5 to 3-hour workshop you’ll learn about the chocolate making process from bean to bar, as well as getting your hands sticky to produce your own take home treats. Catering for teams of 10-400 people this is a fun choice for corporate event organisers. When the temperature drops nothing quite does the job of warming our hands and our hearts than a steaming mug of chocolate. For those planning autumn and winter weddings the passion we have for this simple cuppa can work to your advantage with an inspired wedding favour your guests will savour. 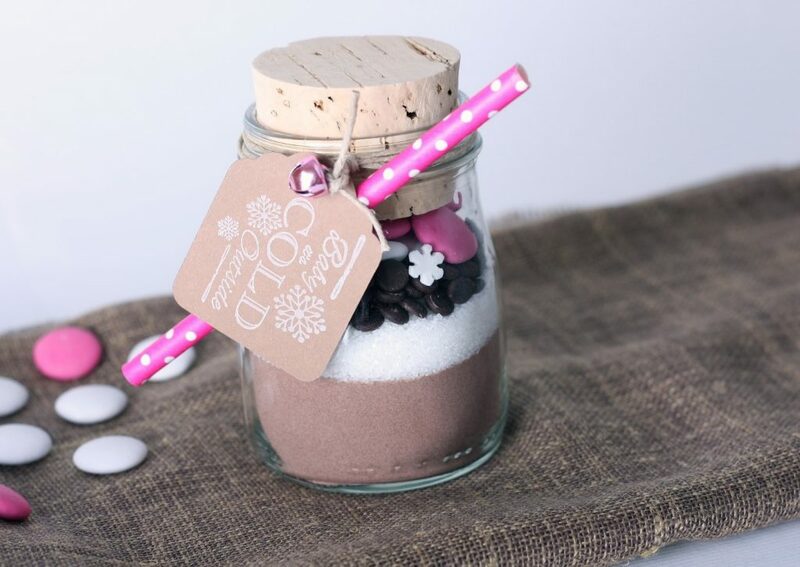 There are plenty of companies who will personalise mugs or jars, and fill with luxury chocolate sticks or cocoa powder, handmade marshmallows and white chocolate snowflakes. Or, if you want to have a go at creating your own, there are plenty of options to buy jars or mugs in all shapes and sizes; fill with your favourite ingredients, and decorate with ribbon to match the colour theme of your big day. Nana Frimpong Abrebrese, a farmer representative on the Ghana Cocoa Board, says: “Those who impact positively on the lives of others shall forever live in the memory of the heart.” She is one of 85,000 farmers who co-own the FairTrade company, Divine chocolate, and as you can imagine, with this much love for cocoa between them, there are plenty of ideas to enjoy it at its best. 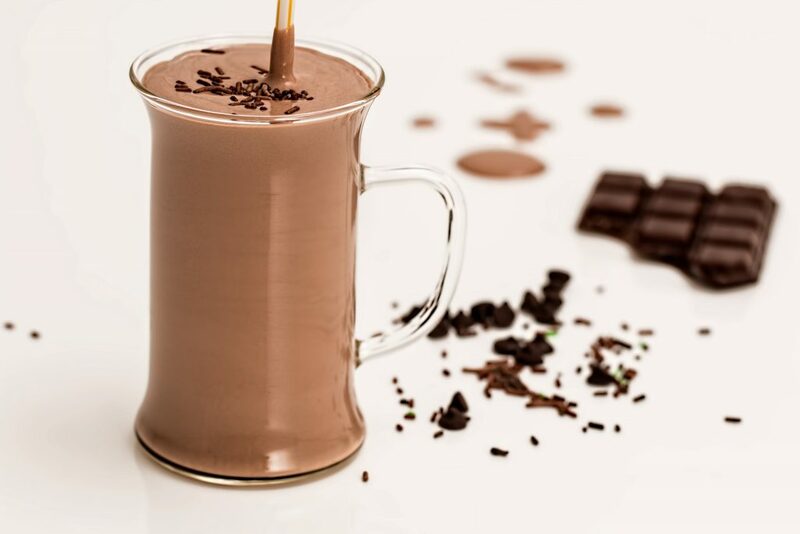 The website has several chocolate cocktail recipes to tantalise the taste buds, like this Chocolate Bourbon Milkshake, which like most things in life is best when shared.